Design and digital agency Bolland & Lowe has won a three-way pitch to work on "a new creative direction" for the Albert Dock in Liverpool. The Liverpool agency has already completed a website celebrating "the past, present and future of Albert Dock", and are also working on an app and additional branding collateral such as banners. The project also includes a digital and ambient marketing strategy which is due to launch soon. John Lowe, managing director of Bolland & Lowe said: “We are delighted to be working on such a comprehensive project which will enable us to forge a clear pathway for the Albert Dock’s engagement with its visitors. Bolland & Lowe’s work will include mixed media dioramas, to be used across all of Albert Dock’s on-site communication, print and digital platforms. 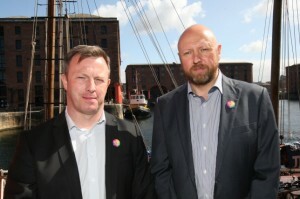 Peter Cronin, director of development and marketing for Albert Dock Estates, said: “Albert Dock is a diverse visitor attraction that has a number of different audiences that need to be catered for and engaged. The Dock originally opened in 1846 but closed in 1972. Work began to revive it in 1982 and six years later it was reopened. It now houses offices, bars, restaurants and several of the city's flagship attractions including the Merseyside Maritime Museum and the Tate Liverpool. Other Bolland & Lowe clients include Liverpool Vision, National Museums Liverpool, Marketing Cheshire and Wirral Attractions Partnership.